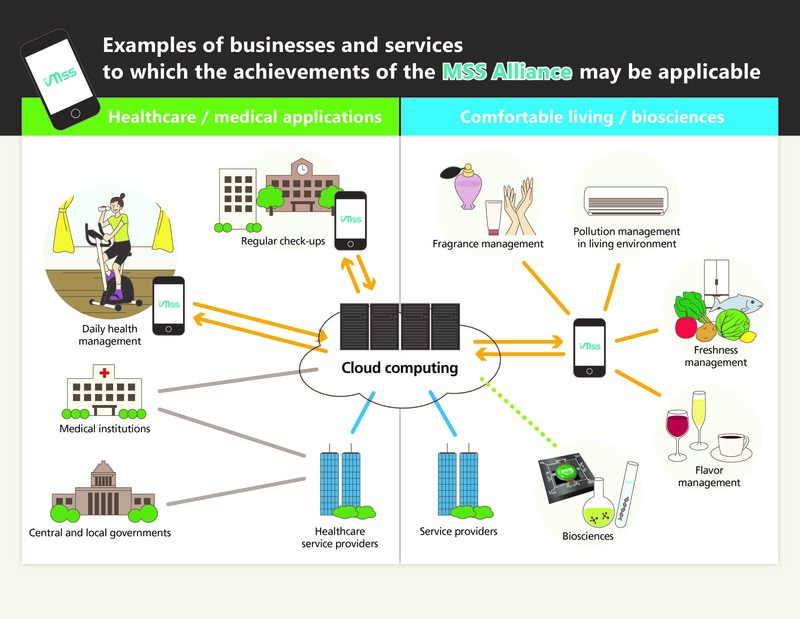 Six organizations including NIMS, Kyocera, Osaka University, NEC, Sumitomo Seika and NanoWorld jointly launched the MSS Alliance on September 25, 2015, with the purpose of establishing a de facto standard for odor analysis and sensor systems employing an ultra-small sensor element called the Membrane-type Surface stress Sensor (MSS). This initiative is intended to accelerate practical use and popularization of such systems. 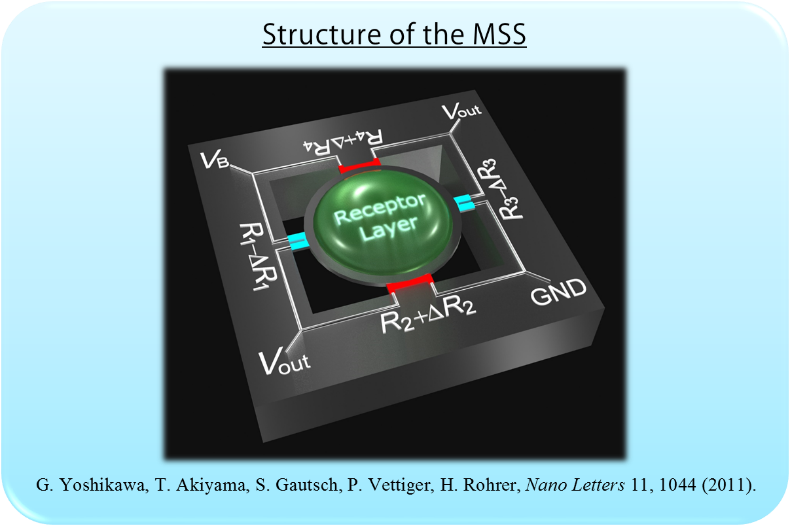 MSS is a sensor element jointly developed in 2011 by NIMS MANA Independent Scientist Genki Yoshikawa, late Dr. Heinrich Rohrer, and École polytechnique fédérale de Lausanne (EPFL). It is a versatile, ultra-small, super-high-sensitive sensor element capable of measuring diverse molecules in the atmosphere and liquid including odor-causing gas molecules and biomolecules such as DNA and proteins. Unlike the conventional cantilever-type sensor, the MSS can be miniaturized as it does not utilize laser light. In addition, its performance has been dramatically improved as is evident by the fact that its sensitivity is approximately 100 times greater than the conventional sensor. 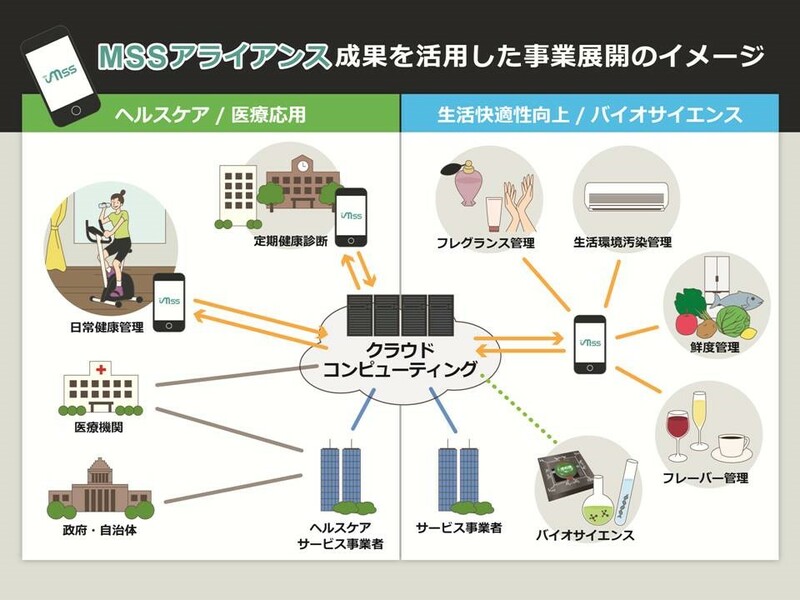 Expectations are high for the MSS to contribute to the development of sensor systems capable of identifying factors that are key to the enhancement of people’s lives and medical care, and converting such factors into information useful to humans and equipment. Figure 1. Schematics and working principle of the MSS. By arranging multiple MSS coated with different types of receptor layers, the MSS can measure various types of gases depending on each application. 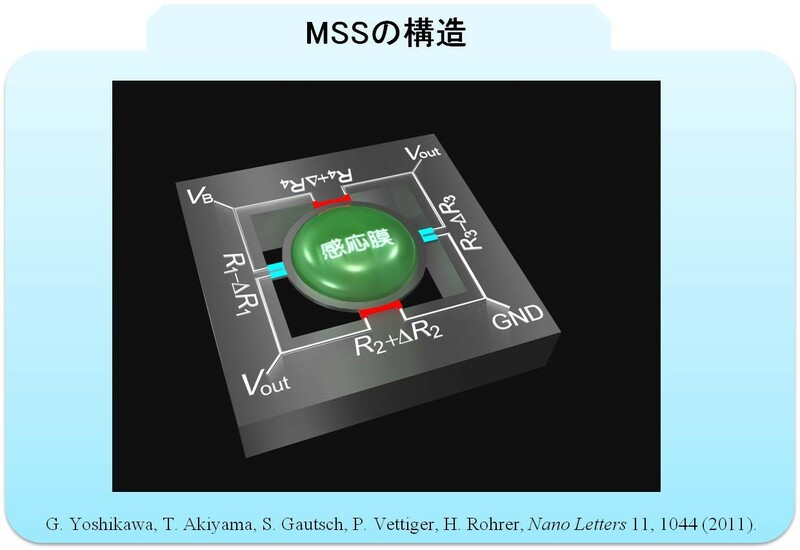 Silicon semiconductor technology allows the MSS to be integrated in a small footprint (e.g. 100 channels per 1 cm2). Figure 2. MSS instruments and related services can ameliorate various aspects of human life and society. Gases Division, Sumitomo Seika Chemicals Co., Ltd. It will give you an overview of our Arrow™ TL Probes which have tipless cantilevers and are available with either 1 cantilever or with cantilever arrays consisting of 2 or 8 rectangular cantilevers. The AFM probes of the Arrow tipless series can for example be used for attaching spheres and other objects to the free end of the cantilever, or for functionalizing and sensing applications.